I have written about him before, so I won't repeat it. He has been gone 10 years + and I miss him more than I can say. This photo was circa 1945-50. 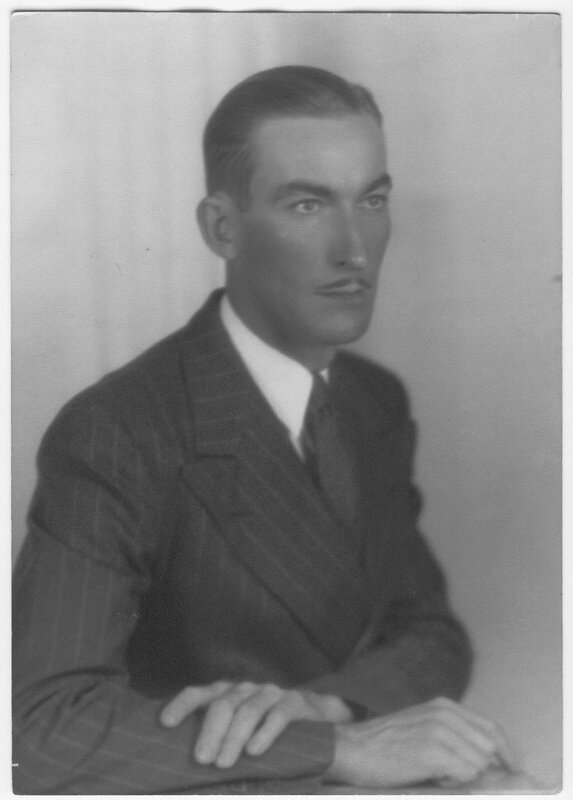 Addition: Everyone always told Daddy that he looked like Randolph Scott, the movie actor from the 40's and 50's. See his photo below. cool photo. Reminds me of Cab Calloway and the Big Band era. Your daddy was a very handsome man. He reminds me of Clark Gable in that picture. Hugs to you from me, too. Oh, my. He is handsome! Man, he really IS a looker! Aww, kenju, you gave me chills (and a smile)! What a handsome, dapper gent! Big hug! What wonderful picture! He is very handsome! I'm sorry for your loss, no matter how long ago it was. A special person's passing always leaves a whole in our heart. I thought it was a picture of a movie star as well. I am sorry for your loss. Michele sent me. he is a handsome gent. He looks suave. I'm sure you remember him with not so serious an expression. His smile is still with you, I'm sure. I'm very close to my dad. I can only imagine the loss you must feel for yours. Ten Years is a long time, but I know you miss him still. I know time makes the loss less hurtful, but birthdays and anniversaries, seem to intensify our feelings. For me, days like this are candle days. I bring out the candles and light them in remembrance. It helps. Very cool photograph. You are lucky to have such historical pics of your family. kenju - My Dad left us very suddenly over 14 years ago...he would have been 74 this year (I think), an impossible age at which to imagine him. I understand the significance of "significant" days, and wish you peace on yours. He sure was a handsome man and a very lovable person. That's why his daughter is so good looking and lovable too. Judy - I definitely recommend doing the candle thing on special days. Your dad was quite the dashing and debonair guy!!!!!!!! I know how special he was to you. LOL - Your answer is pretty good too! BTW - I commented earlier on the photo, but I don't see it here now... suspicious - I swear I didn't say anything offensive - did I? Oh, Judy, I know you miss him terribly. He does look like a movie star from the golden age of Hollywood. It never gets easier does it? My Gran's birthday is March 10th. She's been gone almost 10 years now...since 1997. I miss her everyday. Your Daddy is very handsome. srp is right, it is a Hollywood picture. My dad's birthday is March 20th. It will be the first since his passing. 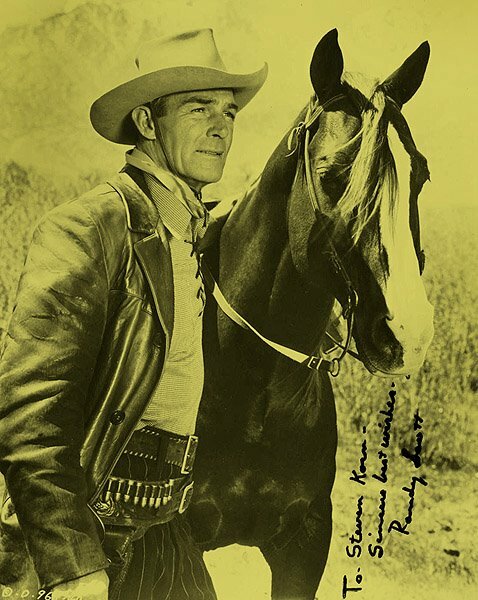 What a nice tribute to your dad and yes, there's an uncanny resemblance to Randolph Scott. Very distinguished looking. My dad will be gone 3 years April 10 and I don't think us daughters ever get over missing that first important male in our life. But I feel him close to me every single day.